The 2018 NFL season has come and gone and now we play the waiting game during the offseason. The Browns finally have a franchise quarterback. Bruce Arians is back in the NFL after just one year of “retirement,” as he is now the Bucs head coach. Mike McCarthy will be taking this season off. Where will Nick Foles be playing in the 2019 season? Can Patrick Mahomes repeat his unbelievable first season as a full time starter? Antonio Brown is hopeful to be a 49er, but apparently is open to staying with the Steelers. This offseason has the making to be a wild one. Let’s jump into the post-Super Bowl power rankings. The Cardinals had a rough go this season. On the bright side of the spectrum, they have talent on the defensive side of the ball and a nice young core on offense. Rosen, Kirk, and Johnson will be leading the charge for many years to come. Kliff Kingsbury had offensive success as a head coach in college, but his team’s records hardly reflected so. The Raiders were dead last in the NFL in sacks this season, tallying 13. They had 17 less sacks than the team that was in second to last place. Khalil Mack had 12.5 sacks on his own this season. You could say that he was sorely missed. Gruden traded away his best weapon on offense and his best defender. He now has three first round picks to help re-tool his team. 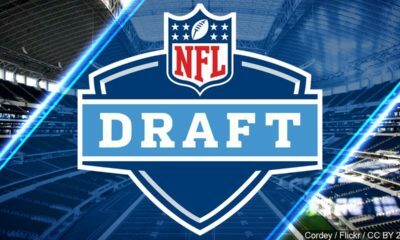 The 49ers won two of their final four games of the season, knocking them out of the number one pick in the upcoming NFL Draft. San Fran is hopeful to have Jerick McKinnon and Jimmy Garoppolo back for OTAs. Kyle Shanahan has one of the brightest offensive minds in football, but hasn’t had his starting quarterback for a full season to showcase what the team’s potential could be on offense. On paper, it seemed like the Jags could have been a force this year, depending on the play of Bortles. After losing to the Patriots in the AFC Championship the previous year, they got off to a 3-1 start, then it was all downhill. Bortles was eventually benched and the defense looked like a shell of itself. Now, the Jags are stuck without a franchise quarterback and will look to fill that void this offseason. Adam Gase was fired by one AFC East team and hired by another. Sam Darnold had more turnovers than touchdowns in his rookie campaign. Gase hasn’t had the best luck with his quarterback during his tenure in Miami, but gets a sophomore quarterback with a lot of raw talent. They will be fighting for second place in the division, as Tom Brady and the Patriots aren’t going anywhere. New York is convinced they don’t have a quarterback problem, but if you watched a Giants game this past season, Eli was afraid to stand in the pocket and checked down to Barkley any chance he could. Odell missed time again, not being able to play the last four games. The Giants have a ton of talent on offense, but have a lot of holes everywhere else. While Sam Darnold had more turnovers than touchdowns, Josh Allen also threw more interceptions than touchdowns. He was, however, a major threat on the ground, rushing for over 600 yards and 8 touchdowns. In his first season, Sean McDermott led the Bills to a playoff berth for the first time since 1999, but tallied just six wins in his second season. For the first time in his career when playing all 16 games, Matt Stafford failed to pass for over 4,000 yards. Detroit finally has a capable running back, in Kerryon Johnson. Half of their losses came in one-score games. They could turn things around in 2019, but their division won’t make it easy on them. It has been reported that the Dolphins are likely to move on from Ryan Tannehill. Rumors are also flying that the Dolphins owner is a big fan of Alabama’s Tua Tagovailoa. Miami is potentially already looking to be in #tankforTua mode in the 2019 season. Not a terrible idea with Brady reiterating that he wants to continue playing until he is 45. After holding one of the league’s best offenses to just three points in the Super Bowl, Brian Flores will be the next head coach of the Dolphins. Marvin Lewis was finally canned by the Bengals. Lewis became the coach of the Bengals in 2003 and went to the playoffs seven times, but failed to notch a victory. Cincy started the regular season 4-1, but only won two more games the remainder of the season. Zac Taylor is set to become the Bengals head coach. Can he help propel the team to their first playoff victory since 1990? The Broncos have had a quarterback issue since John Elway took over as general Manager. The team did hit a homerun this season, bringing in UDFA Phillip Lindsay. They have a fair amount of talent on the offensive side of the ball, and with Vic Fangio taking over as head coach, he will surely get the most out of his playmakers on defense. Alex Smith suffered a devastating injury that will keep him out indefinitely. Derrius Guice has been attacking rehab and looks right on track to take over the lead role in the offense in 2019. 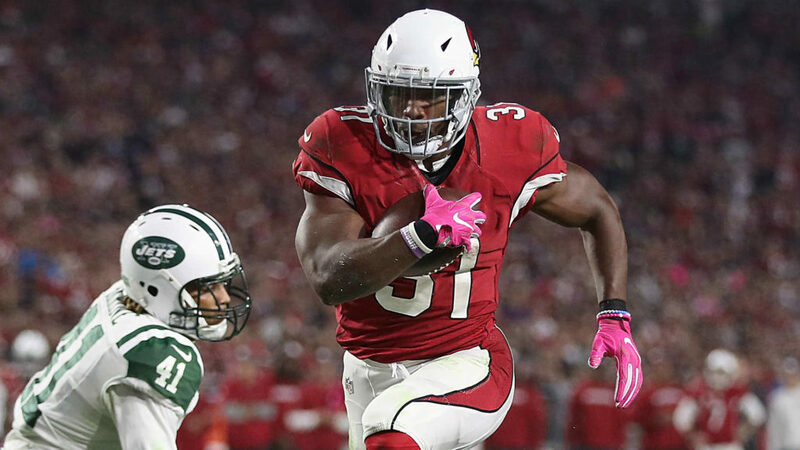 With Smith’s contract still on the books, and the team unsure when he will be able to take the field again, they will be in a bind this offseason. Jameis and Fitzpatrick played a game of quarterback carousel this past season, with Jameis ultimately being the starter to wrap up the season. The coaching staff will be totally revamped in 2019, with Bruce Arians taking over. While Jameis has shown he is pretty great at making awful decisions, Arians could be the perfect marriage for him. The Panthers started off the season with a 6-2 record. Cam Newton suffered a shoulder injury early on and the team just wasn’t the same. While they were competitive in every game, you could see that Cam wasn’t himself. CMC cemented his status as a bell-cow running back. The only week he didn’t play 90% of the snaps on offense was the final week of the regular season, when Carolina no longer had anything to play for. Newton underwent shoulder surgery and the team is hopeful to have him back for the start of the 2019 season. What a mess. The Steelers missed out on the playoffs and Antonio Brown didn’t even play in the regular season finale. After starting 7-2-1, Pittsburgh won just two more games the rest of the way, with two of their losses coming against the Broncos and Raiders. Is the relationship with the Steelers too tarnished for them to keep Brown? 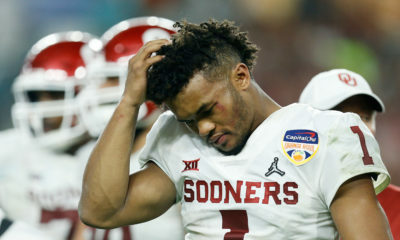 Conner is a good running back, but the loss of Bell and Brown will be too much for the Steelers offense. The Packers failed to win more than six games in 2018. The last time that happened was the first year Rodgers took over as the full time starter. Mike McCarthy was finally let go, after an abysmal loss at home to the Cardinals. With Matt LaFleur taking over and a healthy Rodgers, the Pack look to bounce back in a big way in 2019. Pettine was retained, so the defense should only get better, and the Packers have two first-round picks in the upcoming draft. The Falcons ended their season on a high note, winning their final three games. Atlanta fired their OC, DC, and special teams coach after the conclusion of the season. Dirk Koetter is back in Atlanta as the OC, while Dan Quinn is taking over defensive play-calling. Quinn called the defense in 2016 when the Falcons made their Super Bowl run. Atlanta left a lot to be desired in 2018 and look to bounce back with a healthy defense in 2019. After firing Hue Jackson, the Browns went on to finish the season with a 5-3 record without him. That’s two more wins than Jackson had his entire tenure as the Browns coach. If you have paid any attention, Baker and the rest of the team is quite happy that Jackson is out the door. Baker and Kitchens will look to cook up some more wins and get the Browns in the playoffs for the first time since 2002. Marcus Mariota will now be working with his fifth different offensive coordinator since being drafted in 2015. In Mike Vrabel’s first year as a head coach, the Titans were one win away from being in the playoffs. Mariota nursed an injury all year, but should be good to go for the 2019 season. Arthur Smith was promoted from within to become the OC. Mariota has been fairly underwhelming as a pro, but has the tools to be a very successful quarterback, if he can stay on the field and get some familiarity in the offensive scheme. The 2018 season didn’t really go as planned for the Vikings. Dalvin Cook wasn’t fully healthy, the defense wasn’t itself, and Kirk couldn’t get it done with the woes of the offensive line. While the Vikings missed out on the playoffs, they have a load of talent on both sides of the ball. Since drafting Wentz, the Eagles have gone 4-1 in the playoffs without him being available to play due to injuries. Philly was decimated with injuries on the offensive and defensive sides of the ball and were one drive away from making it back to the NFC Championship in consecutive seasons. If Carson can stay healthy, this team will be right back in the mix in 2019. Seattle surprised almost everyone this season when they won 10 games and made it into the postseason. All year they made running a priority and led the league in rushing yards per game. It’s still baffling why Seattle took a running back in the first round, especially since they have ultimately been RBBC. Seattle has shown they don’t care how good you are as a player, they will let you walk, or trade you. They reportedly haven’t discussed a contract extension with Russell Wilson, as he enters the final year of his current contract. 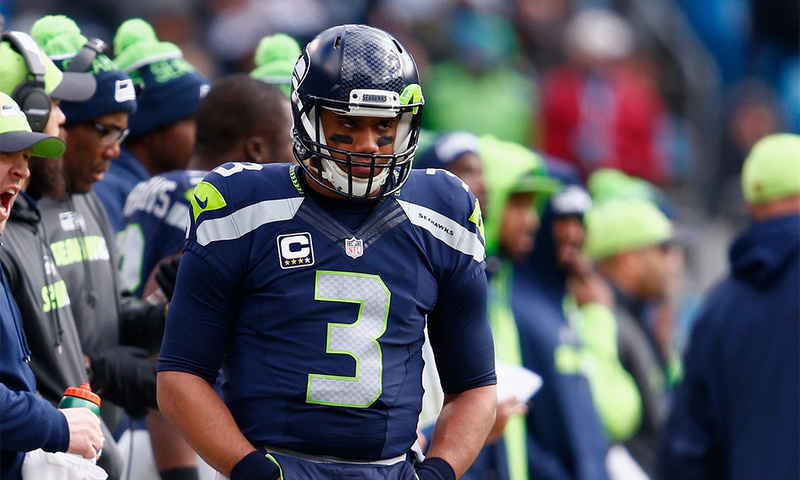 Will Seattle be looking for a new quarterback soon? While Dallas has only had one losing season under Jason Garrett, they have only won two playoff games with him as their head coach. It appears that this may be his last shot this season, as Jerry Jones is not expected to extend his contract. Rumors are starting to swirl that Dallas may try to make a run at Sean Payton in 2020. For the first time since 2015, J.J. Watt was able to play all 16 games. Watt proved that he is still a force, collecting 16 sacks on the season. The Watson to Hopkins connection proved to bode well this season, but not other offensive weapons could stay on the field. Watson was sacked a league-high 62 times in 2018. The Texans have to make protecting their franchise quarterback a priority. Lamar Jackson in, Joe Flacco out. Flacco went down with a hip injury and Jackson helped lead the Ravens to finish the regular season with a 6-1 record, winning the division. Lamar never really slung the ball during his playing time, but when he does, the Ravens will be a hard team to handle. They have one of the best defenses in the league and Jackson doesn’t have to worry about riding the bench any longer. In Matt Nagy’s first year as head coach he took a team from 5-11 to 12-4, giving them a playoff berth and the NFC North division crown. Khalil Mack was the only player besides Donald to receive any DOPY votes. The Bears had a tremendous offseason that helped them get to 12-4, but how much will losing their defensive coordinator hurt them? Indianapolis went from having one of the worst offensive lines in the league to having one of the best. The only other time that Luck was sacked less than 18 times was when he was brought down only 15. The difference? He only played in seven games that year. The Colts now have a healthy franchise quarterback, a top offensive line, and a load of cap space to spend in free agency. For the first time since 2013, Rivers and the Chargers were back in the playoffs, but fell short again in the divisional round against the Patriots. The last time the team made it to the AFC Championship was in 2007, when they lost to… the Patriots. In his second year as a head coach, Anthony Lynn took the Chargers from 5-11 to 12-4. The Chargers have a ton of talent on both sides of the ball and Rivers still showed he has a lot left in the tank this season. The Saints will be salty about the blown call for years to come, but that wasn’t the only reason they lost this game, leaving many points on the field and not taking advantage of the Rams’ mistakes early on led to their demise. Oh, and they got the ball first in overtime. This Saints team is very good and they will be right back in the mix next season. 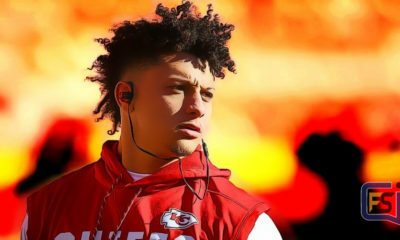 Patrick Mahomes. What a phenomenal season by the MVP. Kansas City had arguably one of the worst defenses in the league and Mahomes kept them in every single game. No Kareem hunt, no problem. The offense hummed without him. Get this man some defensive help and this team will be very hard to beat in the coming years. The Rams went all in on their 2018 season, but came up short against the best coach in NFL history. McVay was more conservative in the playoffs than he was in the regular season, and it ultimately may have cost them. The Rams now have some major decisions to make this offseason. 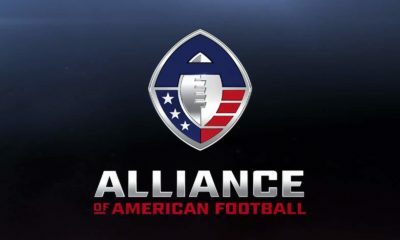 Their starting left tackle and left guard could be gone and they have several players on defense that will be free agents. Before the Super Bowl, Tom Brady said the there was a zero percent chance he’s retiring and that he still plans to play until he is 45. In the lowest scoring Super Bowl of all time, the Patriots had their largest margin of victory in a Super Bowl. 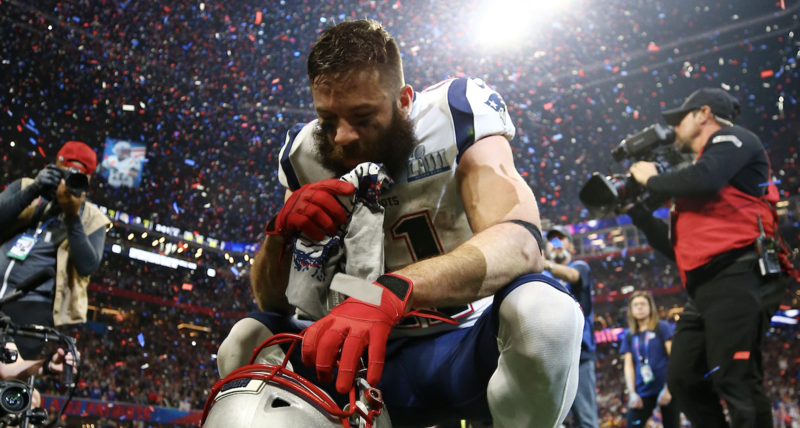 New England took what some of the media was saying to heart and used it to fuel their fire, winning a sixth Super Bowl in the last 18 years. How many more Super Bowls will the Patriots win before Brady and Bill hang ‘em up?